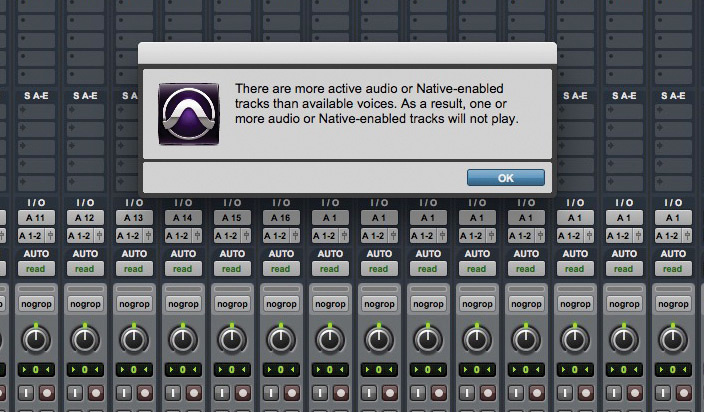 If track count exceeds the number of available voices, you'll see this warning. At NAMM 2019 Avid announced changes to the voice counts available in some versions of Pro Tools. At the time of writing these changes are still earmarked for a future release, but the plans are in the public domain, and the easing of restrictions for users of both hardware and host-based versions of Pro Tools will be welcome news for those who push their systems to the limit. We'll look at these changes, but before we do, it is worth explaining how the voice count system works, as many users find this is something that only comes to their attention when they have exceeded the capabilities of their particular system.